​Complaints must file a complaint prior to the representative contacting you. The NAACP will determine if they can support your claim. All complaints should be filed within 30 days of the act of discrimination ("act of harm") to begin the "informal" counseling ("pre-complaint") process. This is the first step to filing the discrimination complaint and in correlation to the federal government EEOC informal process where a complaint should be filed within 45 days of the act. NAACP Civil Rights / Human Rights / Complaint Process. Incidents of discrimination are a grim reality, particularly for communities of color. 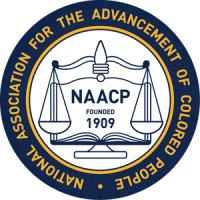 The NAACP's complaint process allows people to act and help advocate for change and greater community accountability. Reports that are submitted via an email or fax, asking for the witness to fill out a more detailed incident report. Reports will be used to gather statistics, and advocate for discrimination practices. Public safety is a civil and a human right, this information will help the NAACP secure this right for everyone in the United States. Those who report incidents and seek further assistance will be referred to their NAACP State Conferences and Legal Redress Committees and provided a Resource Guide. The mission is to ensure public safety for all of our communities and to improve the manner in which the United States administers criminal justices. Implementation of greater accountability measures, and increasing trust between the communities we serve. Improving and simplifying reporting procedures for those who wish to file a workplace or police complaint. Creation of independent oversight bodies and civilian review boards with the sanction and enforcement power. Creation/improvement of workplace and state Peace Officer Standards and Training (POST) programs that are independently funded. Building relationships with law enforcement leaders in order to work together to improve police accountability and policing standards. Legislation to end racial profiling Diversion programs for the mentally ill. and low-level juvenile and drug offenders. Advocating for laws against racial profiling - because when police officers focus on behavior rather than appearance they catch more criminals. Campaigning for alternatives to incarceration for low-level drug offenders - because when we send these offenders to prison, we needlessly waste money, break up families, and often steer people into a life of crime. Promoting the implementation of education, skills training, rehabilitation, and re-entry programs for the incarcerated - to ensure they become productive members of society once they return. Advocating for an end to mandatory minimum sentences, which have a disproportionate impact on communities of color. Campaigning for the elimination of the death penalty, because it continues to be riddled with racial bias and other grave inconsistencies. 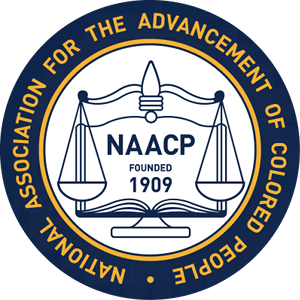 The NAACP believes there is a great opportunity presented by the Government Administration and in the Labor and Justice Department to move the nation towards the "Equal Opportunity and Smart on crime" and will ultimately ensure equal level field for all minorities in the community. 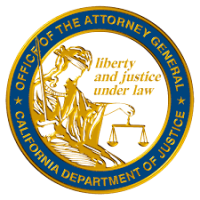 Legal Complaint / AssistanceThe NAACP Ventura County Chapter works as a liaison between legal agencies and services but does not offer any on-site legal services. Please fill out the NAACP complaint form, someone from our staff will contact you. Department of Fair Employment and Housing (www.dfeh.ca.gov). 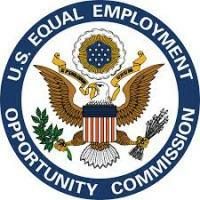 Equal Employment Opportunity Commission, with offices located in Oakland and San Francisco (www.eeoc.gov).